Today I want to write about a remarkable species of Australian parrot, the palm cockatoo. Palm cockatoos grow up to 60 cm long, making them the largest species of cockatoo in the world and the largest parrot in Australia. The red patch on their cheek changes colour when they become excited. 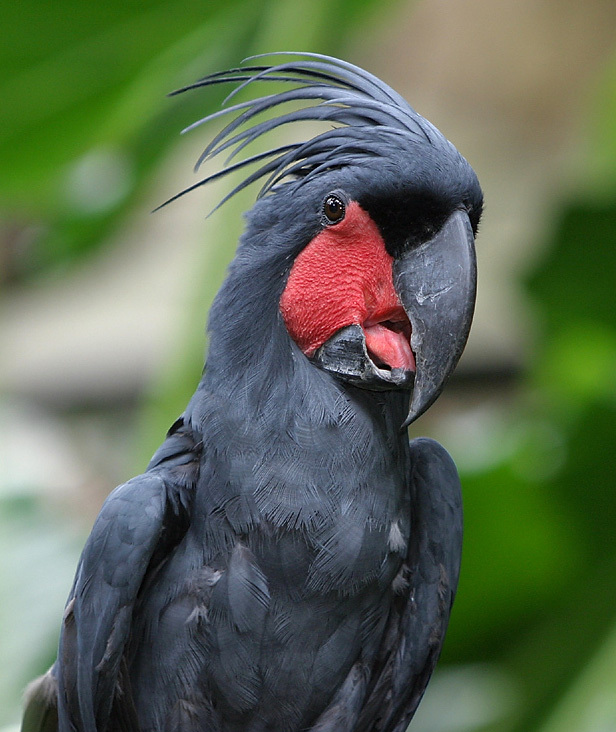 They have very large, powerful bills (one of the largest of any parrot in the world), which enables them to crack open very hard nuts and seeds. Male palm cockatoos are known to mark their territory by breaking off large sticks, holding them in their beaks and using them to drum against hollow branches, making a loud noise that can be heard 100 metres away. They only lay one egg every two years, making them one of the slowest breeding species of parrot in the world. However they can live for a very long time to make up for this. Palm cockatoos are found in the rainforests of New Guinea and far north Queensland. Are there any other interesting facts that you would like to share about palm cockatoos?